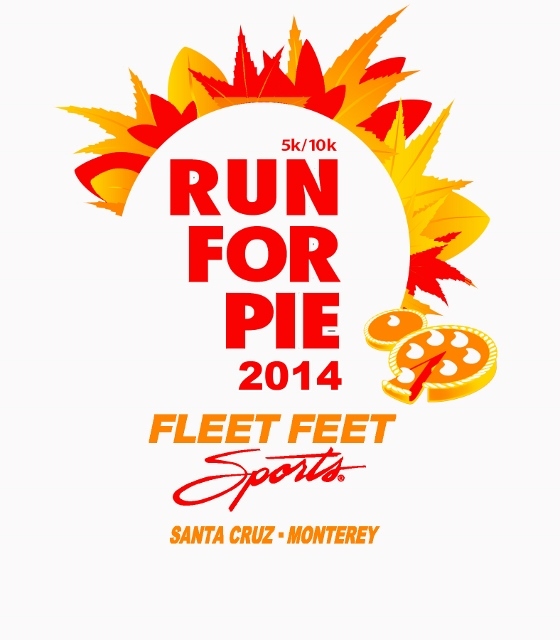 Fleet Feet Sports is once again hosting the 3rd Annual Run For Pie Thanksgiving Day Turkey Trot. The race begins on Thanksgiving Day, Thursday November 27th at 9:00 AM at Aptos Village Park, and goes through the Forest of Nisene Marks. As is the tradition, registered runners will be served mini pumpkin pies at the finish line. There’s actually two races in one: a 10K run, and a 5K Run/Walk, and the proceeds from the race will go to support the Youth Resource Bank of Santa Cruz County. Early bird registration (prior to October 31st) is $35 for the 5K and $45 for the 10K race, after that it’s $5 more. Don’t want to sign up – the race sold out two weeks early last year! This year’s sponsors include New Balance shoes, Kennolyn Camps, Seascape Foods, Norma Jean’s Coffee, and several more. There is no month in Aptos more sublime than October. Warm, sunny, fog-free days fade into crisp evenings. So how’s the real estate market holding up? Let’s find out in the Aptos Real Estate Report October 2014. The median home price in Aptos in September 2014 was $665,000. Last year, the median price in September was $799,000 – so that’s a 16.8% tumble from a year ago. The sales volume remained steady, with 21 homes sold in October – exactly the same as it was a year ago. The sales to list price ratio was strong, with sellers receiving 99.7% of asking price. This is an improvement of a year ago, when sellers received only 98.5% of asking price. The homes which sold did so in an average of 65 days – considerably longer than a year ago, when homes sold in 48 days on average. Inventory in Aptos has jumped this month. There are now 114 homes on the market, and of those, 34 are under contract. That works out to about a 5 month supply of inventory – and this is a huge jump from last month, when there was just a 3 month supply of homes. Selling a home in Aptos just got a lot harder! When it comes to condos and townhouses, 10 closed escrow in September, with a median price of $507,500. That’s a 20.8% increase over a year ago, when the median price was $420,000. Condos sold relatively quickly, in an average of just 46 days, down 19.3% from a year ago, when condos sold in an average of 57 days. Condo sellers did pretty well too in that they received 97.6% of asking price for their homes, compared to just 94.9% a year ago. There are presently 35 condos and townhouses on the market, and of those, 8 are under contract with 25 available. That works out to about a 6.5 month supply of condos and townhouses. This means that once again, it’s a buyer’s market for condos in Aptos – but just barely. What’s YOUR Aptos House Value? Interested to know what your Aptos house is worth in today’s real estate market? Then head over to AptosHomeValues.com for an instant, on-line evaluation of your Aptos home’s value. What about the rest of Santa Cruz county? The Graffiti Removal Project is working in Aptos! The project is a joint project of the Volunteer Center of Santa Cruz and Santa Cruz County. They offer a wide variety of free graffiti removal services throughout the unincorporated areas of Santa Cruz county, including Aptos. If you spot graffiti in Aptos – or in any un-incorporated area of Santa Cruz county – you are encouraged to call the Graffiti Removal hotline: 831-427-0462 or 831-722-7771. They are usually able to get a crew out to remove the graffiti within a week. They are also always looking for volunteers, and they have an on-line volunteer application on their web site. The Mar Vista Elementary Harvest Festival is scheduled for October 25th, from 11 AM until 4 PM. This is a annual event is public and all are welcome to come and celebrate the harvest season and help feed those less fortunate in our community. Lots of Games, Music, Food, and the Sugar Shack! This year they are partnering with the Santa Cruz County Deputy Sheriffs Association, along with Second Harvest Food Bank and Grind Out Hunger to kick off the Holiday Food Drive at the Harvest Festival! Please join us in supporting some amazing causes and Mar Vista Elementary! Bring a can of food to receive a raffle ticket and a chance to win some amazing prizes! 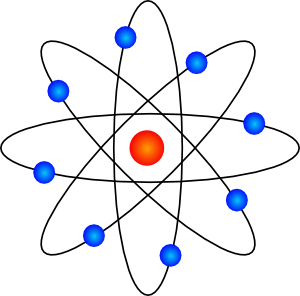 Cabrillo College is holding a Science Exposition on Saturday, October 11 from 11 AM to 1 PM. They’re doing to be doing some pretty cool stuff – making liquid nitrogen into ice cream and blowing things up for example. Plus, they’ll be giving out free hot dogs, chips, drinks – and there’s even a free raffle for a chance to win an iPad Mini! Not only that, parking is free, too! If you have a couple of hours to spare, this is something you’ll want to check out! The grassroots Aptos organization Neighbors Organized to Protect our Community (NOPOC) is working to raise funds to support their fight against PG&E’s plans to install a series of massive steel power poles through one of the most scenic areas of Santa Cruz County. 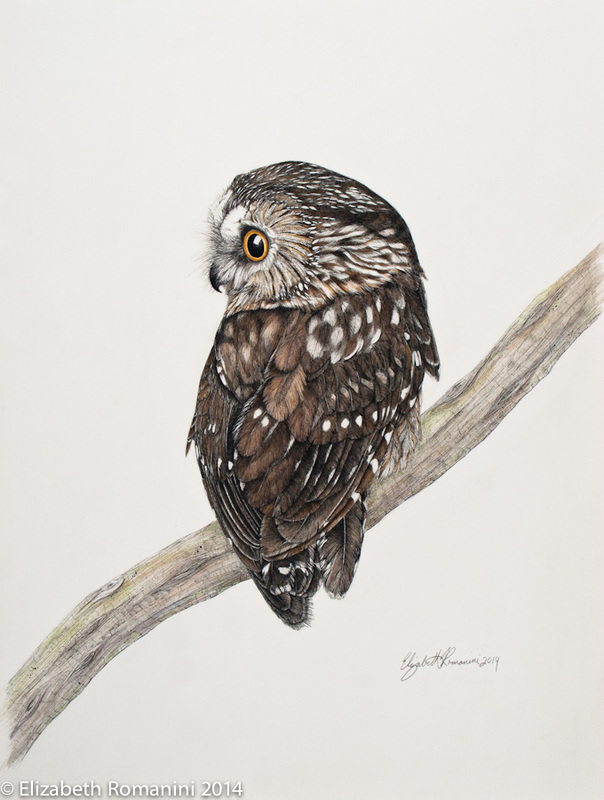 As part of that effort, they are having a drawing for a stunning piece of original art: an illustration of a Saw-Whet owl. Any contribution of $25 or more gets you an entry in the drawing; each multiple of $25 gets you an additional entry (e.g. $100 gets you 4 entries). You can donate on-line via PayPal or drop a check in their mail. Click here for more information on the drawing. NOPOC is very transparent about where the money goes, they have built a web page for that too. Their goal is to raise $45,000 by February 2015. If you’re interested in help preserve a beautiful slice of Aptos for future generations and appreciate fine art, consider making a donation today. The Advocates for the Forest of Nisene Marks invite you to a special trail work day Sunday October 12, 9:30-12:30. Volunteers should meet at the park entrance kiosk at 9:30 for coffee and treats. Each year State Parks requires the Advocates who build and install the bridges each spring to remove them by October 15, prior to the rainy season. They need extra people to be able to remove and store the two seasonal bridges. Come help for the whole time, or just an hour. They organize, in conjunction with State Park Rangers, trail work each 3rd Sunday of the month 9:30-early afternoon and always need volunteers. You don’t have to have special skills, just come lend a hand! Feels great to give back to this beautiful park and spend a few hours outdoors making a contribution! 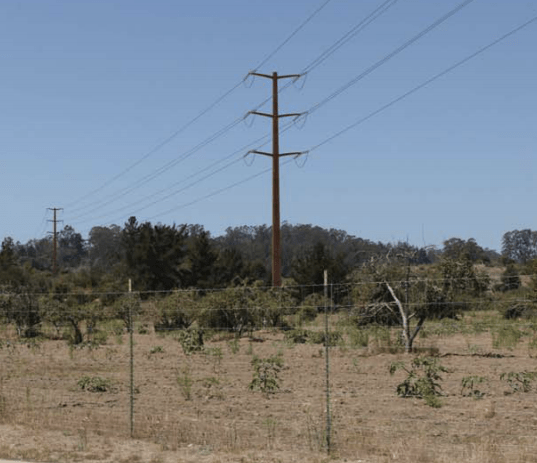 Santa Cruz County residents and concerned citizens have joined collectively in a new grassroots group, Neighbors Organized to Protect Our Community (NOPOC), to voice their issues concerning a proposed power line project. The neighborhood alliance believes the Santa Cruz 115kV Reinforcement Project as proposed by PG&E will have an adverse effect on the surrounding hills, wildlife, livestock, agriculture, and residents within the impacted areas of Day Valley, Aptos, Corralitos, Plesant Valley, and Watsonville. According to NOPOC, the proposed project will see greater than eighty metal poles, many as tall as 10-story buildings, erected in rural residential neighborhoods. To put in these monumental steel structures, PG&E plans to assemble touchdown pads in an apple orchard and fly heavy cargo helicopters six days per week for 10 hours a day over properties, faculties, and companies for as much as 18 months. The venture could even require the destruction of greater than a hundred and fifty mature trees and the ongoing elimination of vegetation, which can adversely impression the ecosystem and the aesthetics of the area. Vacation Rental Restrictions coming to Aptos? There is a move afoot to limit the number of vacation rentals in the “coastal” areas of Aptos, specifically Seacliff, Seascape, and Rio del Mar. The limits would be identical to what is now presently permissible in the <a href="http://www.sccoplanning about his.com/Portals/2/County/Planning/policy/052-11LiveOakWeb.pdf” target=”_blank”>Live Oak Designated Area (LODA), which is the coastal area that encompasses Pleasure Point and the area near the Santa Cruz harbor. 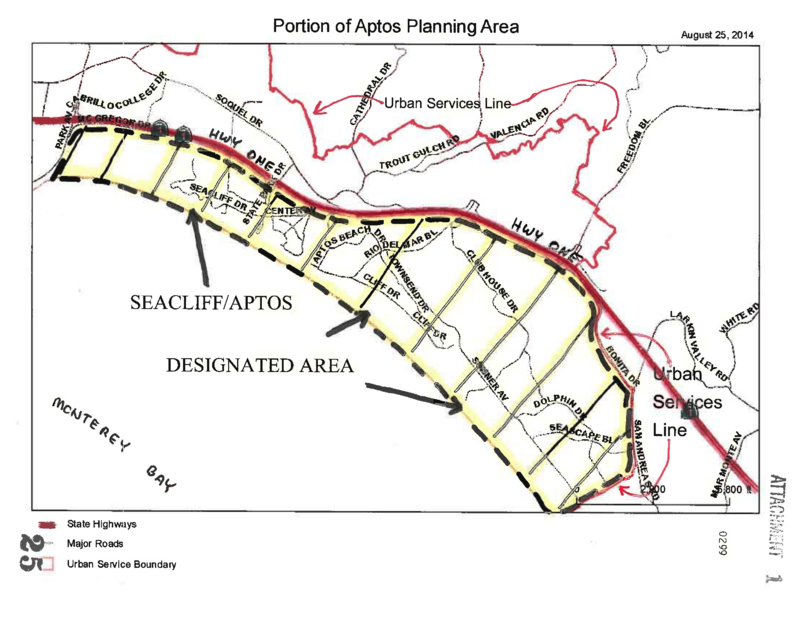 If the restrictions are approved by the Santa Cruz county board of Supervisors, the designated areas in Aptos (SADA, or “Seacliff Aptos Designated Area”) would not allow vacation rental permits in excess of 20% of the homes on any one block. There is apparently a concern that the increasing number of homes used as vacation rentals would diminish the availability of homes used for long-term rentals, and increase the cost of renting in Aptos. There are presently two streets in Aptos which have vacation rentals that exceed 20% of the homes on the street: Beach Drive, and Rio del Mar Boulevard between Beach Drive and the Kingsbury/Cliff Drive intersection. Under the ordinance, no new vacation rental permits would be approved on these streets. The board of supervisors is to take up the issue at a public hearing on Tuesday, October 28 at 9:00 AM at the Board Chambers, County Administrative Building, 701 Ocean Street in Santa Cruz. People who are concerned with the issue, in favor or against, are encouraged to contact Supervisor Zach Friend or attend the hearing on October 28th. We have posted some notes from the Santa Cruz County Planning Commission meeting on September 16, for those who are interested in learning more. KSBW News recently reported about Aptos High’s choice for homecoming king this year: Brandon Gruber. Normally the choice for homecoming king doesn’t garner this kind of media attention, but the students’ choice of Brandon is notable because Brandon has Down syndrome. According to the reports, Brandon is one of the most outgoing kids on campus. Brandon received the Yes I Can award from the Council of Exceptional Children in 2012, and he continues to be exceptional. Congratulations to Brandon, and also to all the students at Aptos High who voted for him. Go Mariners!